Playing his favourite tunes during a guest-role gig as a radio disc jockey was an appropriate experience for a dialed-in and dependable big-league defenceman. Jay Harrison is a man who loves his music. So, when the Carolina Hurricanes’ media office recently asked if he wanted to hit the airwaves on local Raleigh station 95X FM, the blueliner happily traded in his hockey stick for a microphone for a few hours. Harrison put a lot of thought behind his playlist selection. Check out Jay Harrison playing some of his favourite tunes at 95X in Raleigh by clicking here. The 82nd pick of the Toronto Maple Leafs in 2001 was simply happy to have had the chance to call the shots, musically speaking, something he doesn’t often get to do in the dressing room. For a player who has 400-plus minor-league games to his name, a hockey career carved out through patience and perseverance, Harrison has opted for the latter. The first overall selection of Brampton in the 1998 Ontario Hockey League Priority Selection, Harrison skated four seasons with the Battalion from 1998-2002. He then spent four campaigns in the American Hockey League (AHL) with Toronto's farm team, making his NHL debut on January 27, 2006, against the Montreal Canadiens, recording an assist. In June of 2008, Harrison signed a one-year contract with EV Zug of the Swiss National League A, but in March of the next year, he returned to the Toronto Maple Leafs and played the rest of the 2008-09 season. 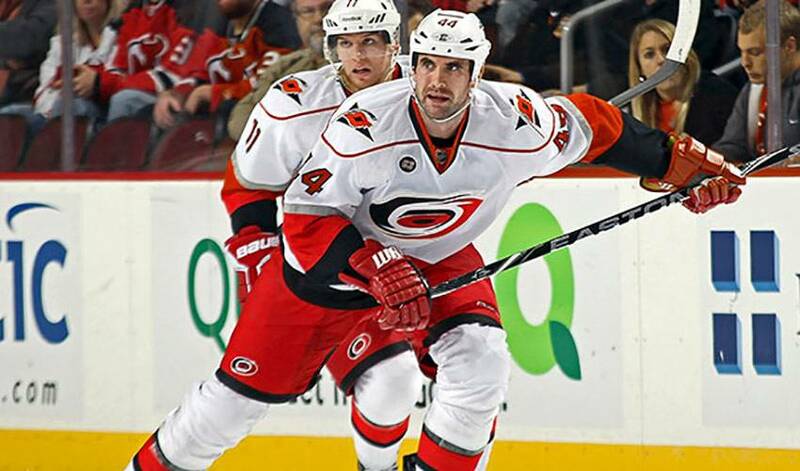 It was the deal he signed with Carolina in 2009, however, that led to a stable NHL career, one highlighted by a strong 2011-12 that saw Harrison score nine goals, along with 14 assists, in 72 games. Harrison is rightfully proud that he stuck to his goal of being a full-time NHL player. That’s no doubt music to the ears of Carolina’s full-time defenceman and part-time disc jockey.